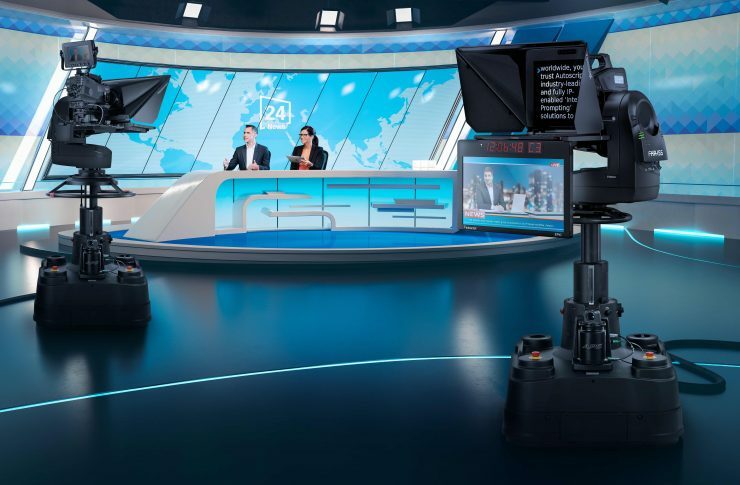 Vinten has introduced its new FH-155, a robotic/manual pan-and-tilt head designed to support heavy payloads in modern broadcast studio settings. With a maximum payload capacity of 70 kilograms (155 pounds), the FH-155 is able to provide accurate, smooth, and quiet movements. In addition, the FH-155 is the industry’s first pan-and-tilt head with an option for a fully integrated StarTracker module, that provides a reference tracking system for floor-roaming pedestal combinations. Available for both the FH-155 and its companion, the robotic-only FHR-155, the optional StarTracker module enables drift-free, real-time tracking for roaming pedestals in both robotic and manual modes. Vinten claims that StarTracker is a major improvement on many tracking systems, which regularly need recalibrating to maintain accuracy. With StarTracker, broadcasters can calibrate multiple studios and move equipment between them as needed without additional calibration — saving time and improving efficiency in busy, multifunctional facilities. For studios requiring full flexibility, the FH-155 features a manual operating mode that enables camera operators to make smooth pan-and-tilt movements when required by the content or production. The manual mode features a continuously adjustable, servo-controlled drag that is powerful enough to handle even the heaviest payloads. Operators can switch between robotic and manual modes either at the head or from the Vinten HD-VRC control system. Both the FH-155 and the FHR-155 are designed to be near-silent when in motion which is key when working in environments with ultra-critical noise limitations. The FH-155 and FHR-155 will be available from May. 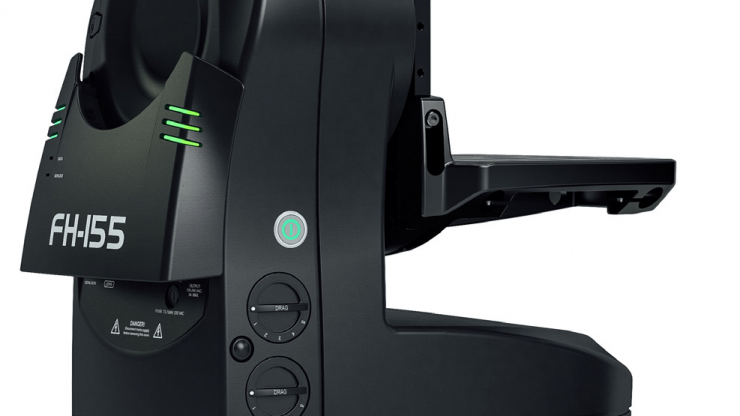 The heads will be shown alongside Vinten’s full line of creative robotic solutions at the 2019 NAB Show.